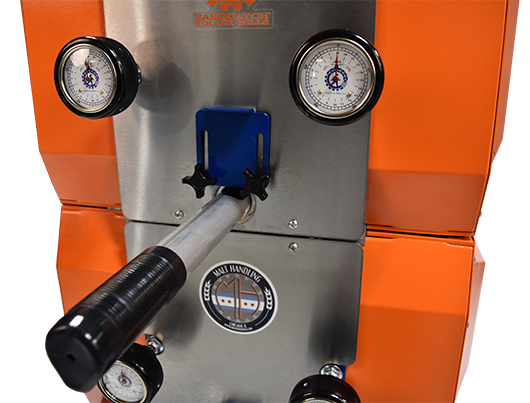 Easy-adjusting roll gap dials and grist sample ports. 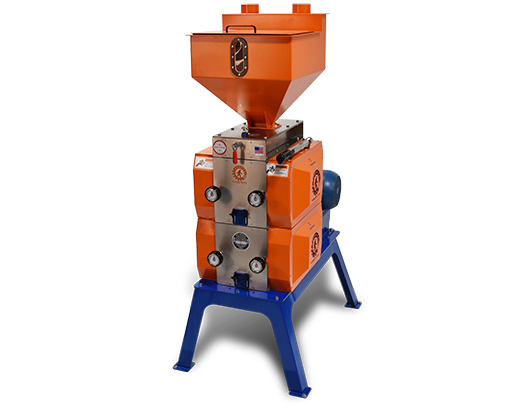 Developed through years of refinement to meet the unique needs of brewers and distillers of all sizes, the SASQUATCH roller mill will be your heavy duty workhorse with the sleek, efficient craftsmanship of high-end manufacturers. Made in Michigan, these malt mills are highly durable and built to last. The most dust-tight mill in its segment. Streamlined, simple adjustment for rolls. Patented modular roll design allows you to add a set of rolls in the future. Slide gate with handle adjuster. 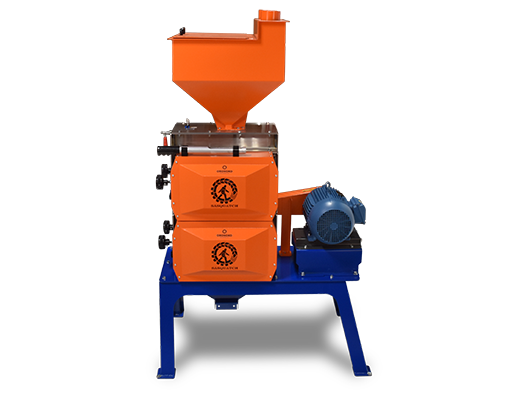 Inlet hopper and discharge for any kind of conveyance available to your specs. Custom powder coating on side panels (standard orange), with custom decals available. One year standard warrantly, additional 6 month upgrade if installed by preferred service team. All contents © Oronoko Iron Works, Inc. 2016.